As ELV ponders getting back to work on this overcast day in Sin City, he also cogitates on what Las Vegas was and has become. ELV note: The following article (in slightly abridged form) hits the newsstands today in the Las Vegas Weekly. You can access the original by clicking here, or continue reading below. The beef curry is just one of many tasty reasons to sit next to Tony Hsieh at Le Thai. Two restaurants opened in downtown Las Vegas at the end of last year, and in a number of subtle and not so subtle ways, each is charting the landscape for what downtown diners can expect in the future. 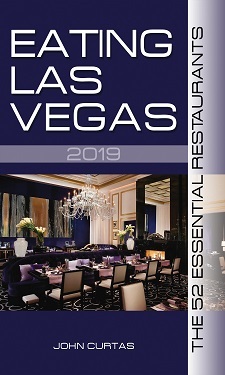 ELV note: Click here to read this article in its original format, or scroll below to see what Brock, Jim and ELV thought were their top bites of 2011. On the plate, it was a very good year. In revisiting their best bites of 2011, the Weekly food critics will get you salivating for 2012. 1. Oxtail Bucatini with Oxtail Sauce (Le Cirque, at Bellagio) This Gregory Pugin dish looks like a plain, savory custard but unspools to reveal bucatini strands hiding insanely rich braised oxtail. It’s a meat dish made by angels with a devilish calorie count, and it might be the biggest umami bomb of the year. 2. Roasted Sea Bass over Arugula (Due Forni, 3555 S. Town Center Dr.) Take a talented Italian chef (Carlos Buscaglia) and give him an 800 degree oven and a juicy piece of branzino—in a minute or two he can turn out a crispy, succulent seafood wonder, atop a bed of tangy arugula sprinkled with capers. The best off-Strip seafood dish I had this year.